Your premier auto detailer of Northern California. Preventive maintenance is key to the longevity of your vehicle's surfaces. Attention to details is what TDP Sacramento is all about. Get ready to hit the river in summer or for storing during winter months. The Detailing Pros Sacramento is your premier auto detailer of Northern California serving the area with professional mobile detailing services. We are proud to be certified as Master Detailers and offer professional know-how to all of our client’s vehicles. We specialize in interior & exterior detailing, paint correction, paint protection and overall beautification of everyday drivers, exotics, and classic vehicles. The Detailing Pros organization has over 40 years experience in the car care industry and rated one of North America most prestigious auto detailing establishments. We offer 100% customer service satisfaction and serve the greater Sacramento region. TDP Sacramento knows that your vehicle is a prized investment and we offer a variety of services to keep it up to par. Our basic packages cover interior and exterior surfaces with great attention to detail while finishing with the upmost protective products. 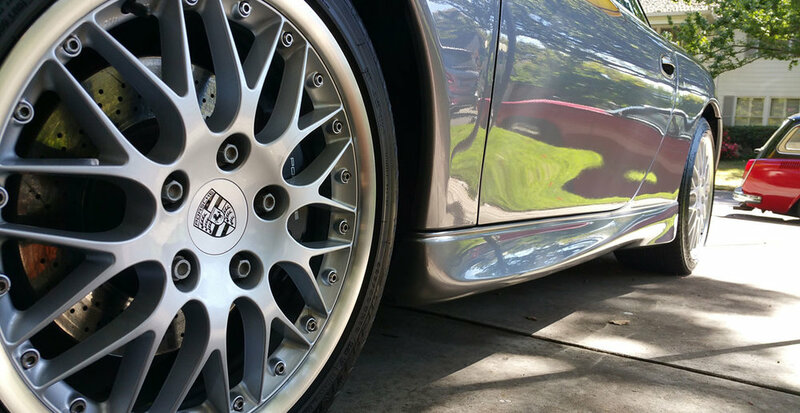 Paint correction techniques will rid your vehicle of imperfections, such as light scratches, swirls and water spots, while other services such as headlight and plastic restoration will have your vehicle looking like new again. Our Team of licensed professionals offers a 100% customer service satisfaction, guaranteed! We are not a volume based detail company. Rather, we give every vehicle our undivided attention from start to finish and offer the best in products and services. Our mobile services are sure to put your mind at ease as your vehicle gets the attention it deserves while you are hard at work or relaxing at home. TDP Sacramento is well aware of the hardships faced by our planet and we strive to provide the upmost environmentally friendly products by world class leader Meguiar’s. Our waterless wash techniques allow us to conserve water while keeping our eco-friendly chemicals out of flood drains and off the ground.